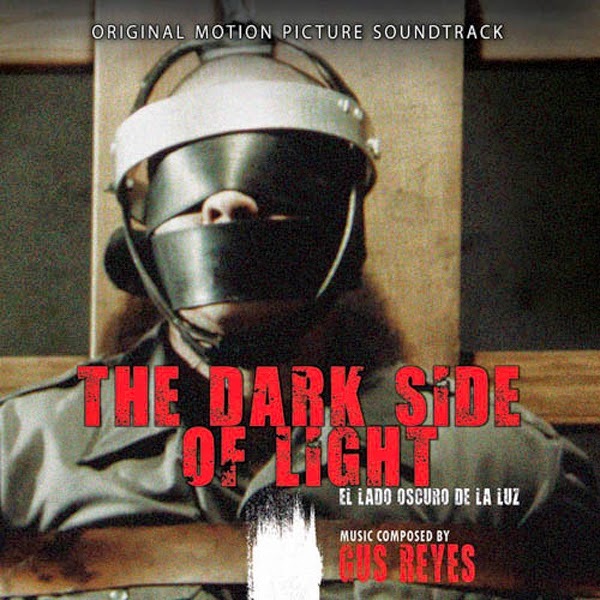 (April 17, 2014– Los Angeles, CA) – The joint venture of Moviescore Media and Kronos Records will release EL LADO OSCURO DE LA LUZ (THE DARK SIDE OF LIGHT) – Original Motion Picture Soundtrack digitally and on CD on April 28th. The soundtrack features the original score composed by Mexican composer Gus Reyes. Mexican film composer, Gus Reyes’ film credits include MAGNICIDIO (2002), EL ULTIMO EVANGELIO (2008), EL ULTIMO PAÍS MÁGICO (2005), EL SECRETO (2010) and the soon to be released film EL ENTRENADOR (2014). Reyes also has collaborated with other composers like Andres Sanchez-Maher for EL CHARRO MISTERIOSO (2014) and Francisco Albisua in EL FANTÁSTICO MUNDO DE JUAN OROL (2012) as additional composer and orchestrator. Reyes and Sanchez-Maher were part of the 2011 Latin Grammy Award-Winning unplugged concert of the rock band Zoé for their arrangements and orchestrations. Invited by Bertha Navarro (Producer of Guillermo Del Toro´s PAN’S LABYRINTH and THE DEVIL’S BACKBONE), Reyes has been part of all Mexico City´s Film Music Labs since 2010 as a Film Scoring Advisor. “The Dark Side of Light Suite” was presented for the first time for the Ibero-American Film Music Concert in Mexico City in late 2013 (featuring the MexFilm Orchestra under the direction of Arturo Rodriguez). EL LADO OSCURO DE LA LUZ (THE DARK SIDE OF LIGHT) is a powerful psychological thriller based on the true story of a serial killer who was sentenced to an electric chair execution and survived it. This criminal justifies his murderers in the belief he’s a God’s chosen that has fulfilled a liberation mission of his victims. Using a symbolic language this story exposes, “actions that prove killing in God’s name is an excuse to cover atrocious crimes.” Memo is orphaned at the age of 7 and is left under the custody of his cruel grandfather who imposes Memo a great emotional violence that wounds him deeply; this generates in Memo a personality disorder that causes a severe alcoholism. Memo finds love in Karla, a beautiful young woman with whom he plans to start a new life, however Memo’s alcoholism throws them apart the same day of their wedding, unleashing intrigues and betrayals that detonate Memo’s criminal instinct. Prisoner of his memories and before being executed Memo describes the origin of his own sorrow and the meaning of the liberating mission he has carried out in each one of his victims, those that as him were tormented by their cruel past.